The complete lowercase range of characters is included in the commercial version of the IRON FAMILY. Like the freebie? A $5 USD PayPal donation is always appreciated. Use the DONATE button on this page. 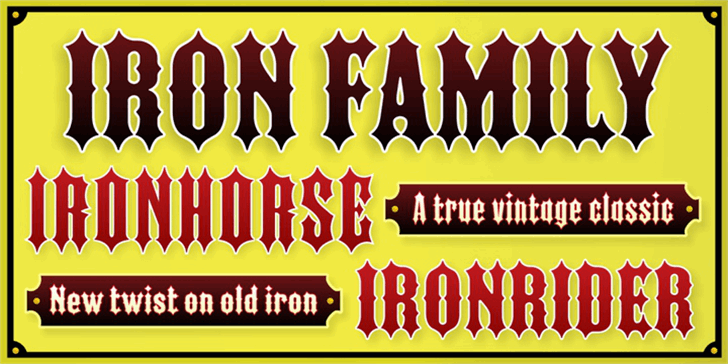 The IRON FAMILY is a revival of two classic wood type fonts, but with a modern necessity -- the addition of a lowercase character range. With a recent history of identifying everything from Little League teams to chopper magazines, the influence of these spike-filled old-timers is undeniable. 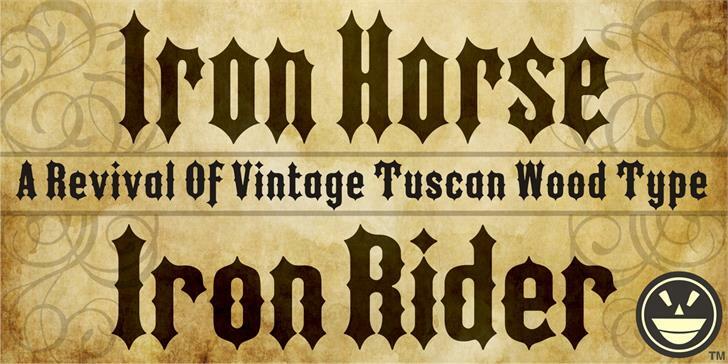 Whether the theme is Western, skateboards or a horror flick, these fonts have been there. Arm your computer with the latest spin on a pair of vintage favorites. 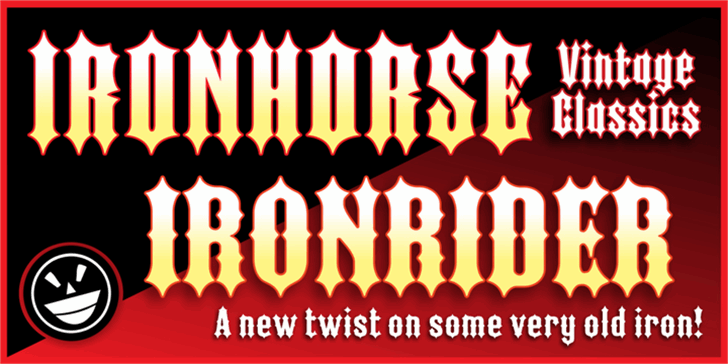 FTY IRONHORSE NCV is a trademark of The Fontry. FTY IRONRIDER NCV is a trademark of The Fontry.